This Energy Saving Trust, EST approved Eco-Driving training course, has successfully been delivered for some time by SDTS. The course proposed is a full day in duration and is shared between 8 drivers in 8 individual sessions. Each session begins with a briefing and objective setting; this also provides the opportunity for delegates to offer any specific concerns relating to their general driving or any of the course content. Venue: Any suitable UK location. Following the briefing the course will commence with an eyesight check only. Our trainer will then discuss many of the aspects covered to further set the scene. Following this the trainee(s) will then drive a pre-set route twice, first to get base line of MPG & MPH stats, second run being coached in fuel saving tips and safety. MPG and MPH will be measured on each trip so as to be able to show to the driver how easily improvements can be made whilst at the same time not extending the driving time. The emphasis will be placed on driving in a fuel-efficient and emissions reducing manner, by planning further ahead, by reducing gear changes and advising on other simple ‘contributions’ that drivers of all vehicles can make. SDTS – ECO training not only teaches the trainees to drive in a more fuel efficient manner, which on a scalable model can save the business huge amounts on ever increasing fuel costs, it also inadvertently adds to a client’s green credentials by using less fuel and decreasing harmful emissions. The cost of providing this training at present is subsidised by the Energy Saving Trust. please contact for a quotation. The driver/Company should provide a suitably insured vehicle for the training and furthermore a vehicle with trip computer capable of gathering fuel economy data. 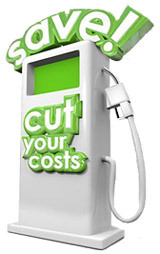 How can the potential savings from Eco Driving help you? Driving in an Eco friendly manner also considerably reduces the wear on the car components such as tyres, brakes, clutches and yourself. All the staff used by SDTS is hand-selected on the basis of their suitability & experience for such work from an “elite” group of EST qualified instructors.